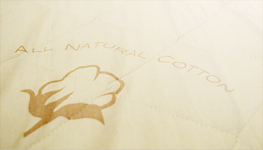 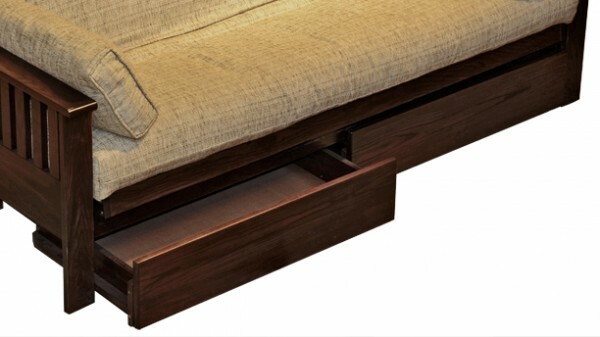 The frame is the structure that holds the futon mattress that is sold separately in the futon mattress section. 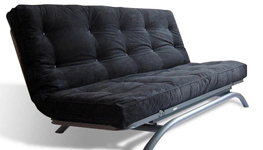 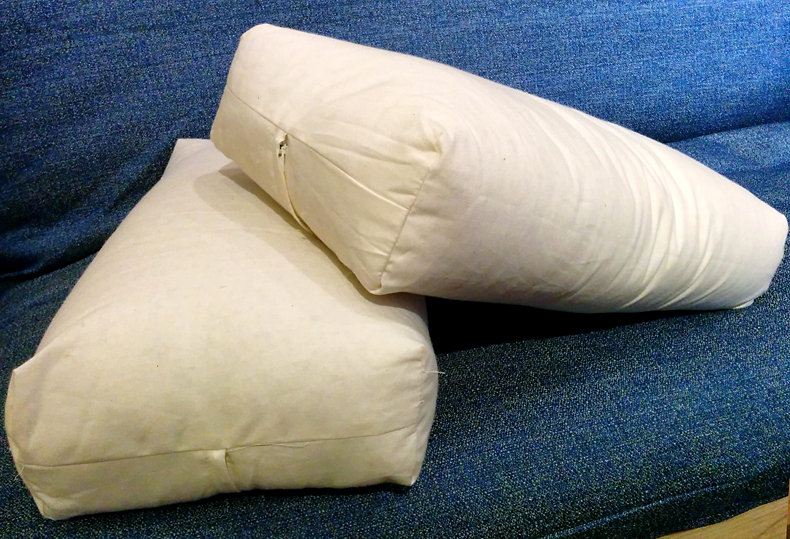 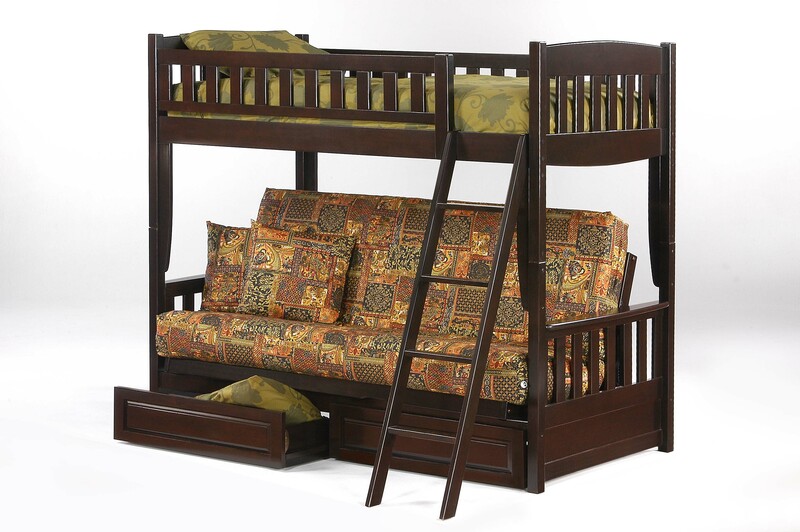 The futon frames are sometimes available in different sizes, the most common size is double. 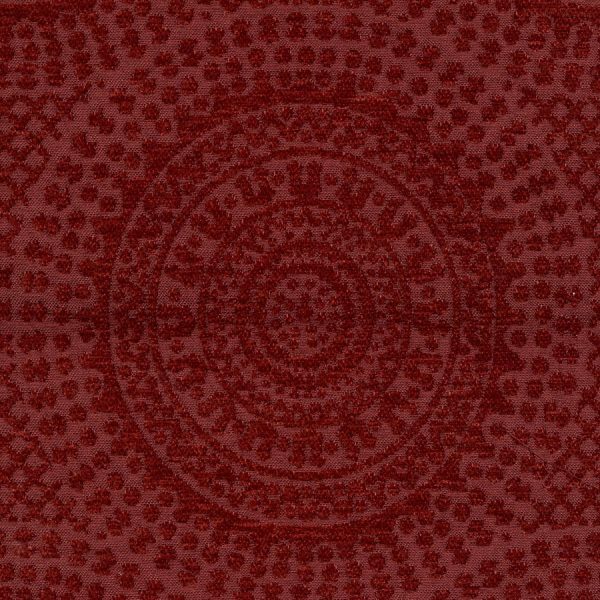 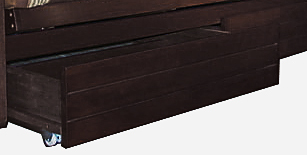 General information about the sizes can be seen on each product page in the ”Size explanations” tab. 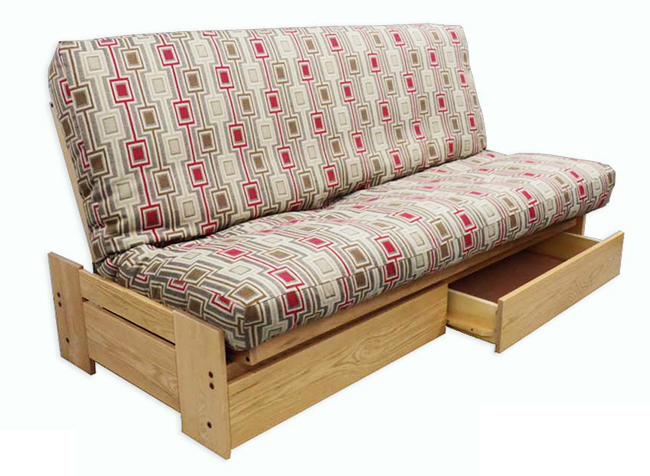 The futon frames require assembly but they are usually fairly easy to assemble. 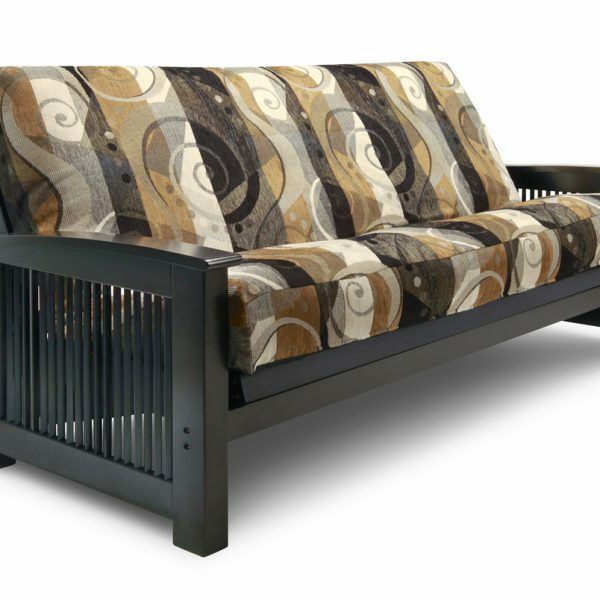 Assembly service is available when delivered in the Montreal area. 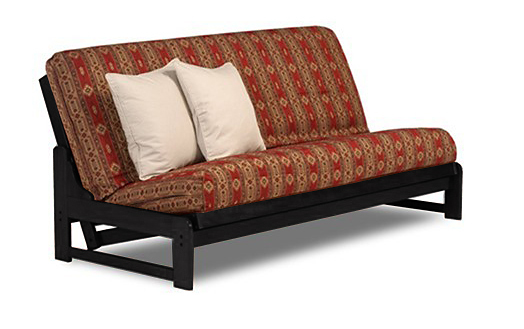 You can pick-up your futon frame in store in Montreal or have it delivered in most areas of Quebec. 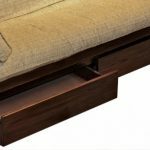 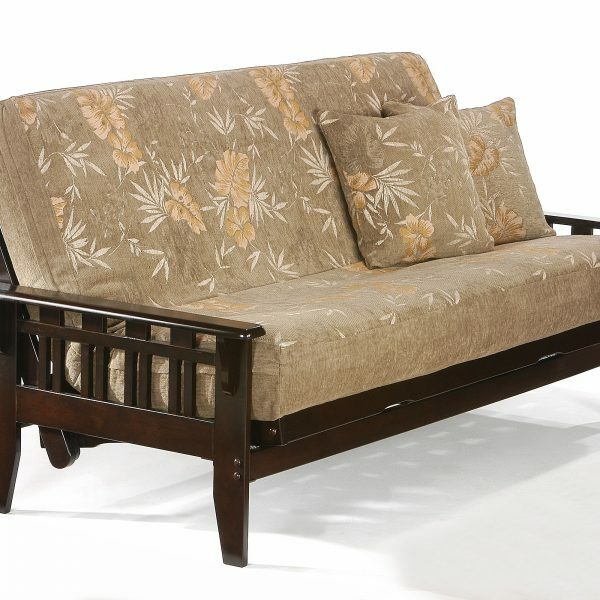 Click on the futon frames pictures for prices and description. 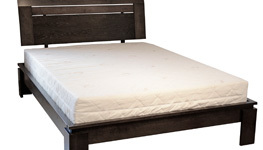 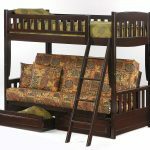 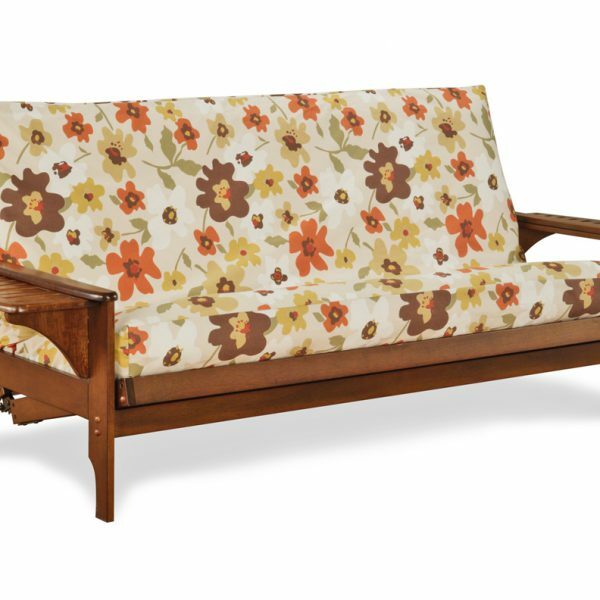 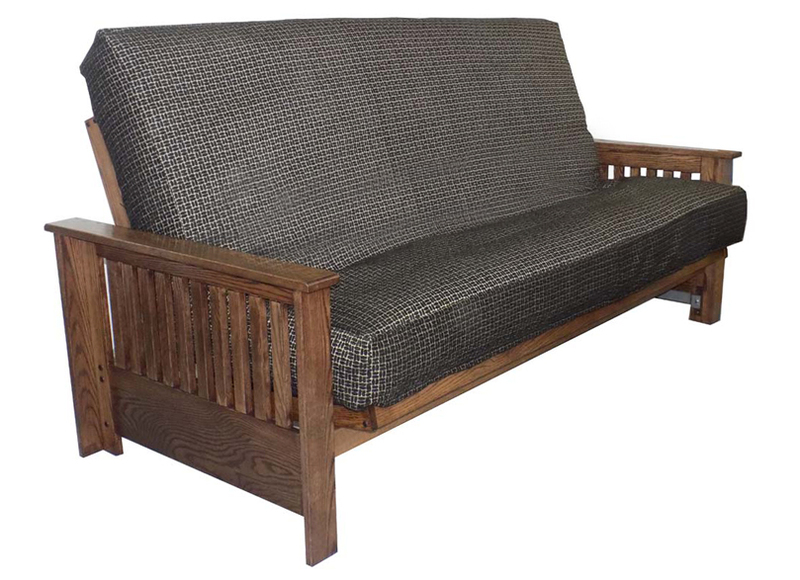 Harlington hardwood futon frame availability : 1-4 weeks. 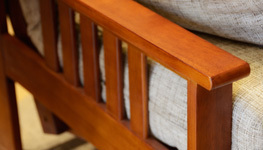 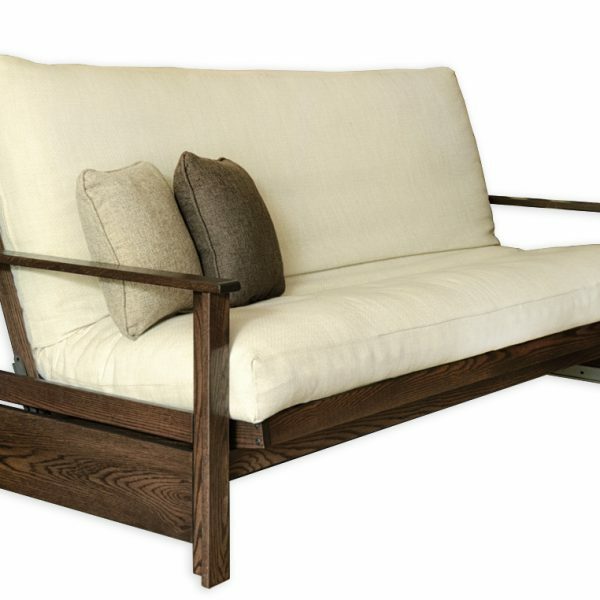 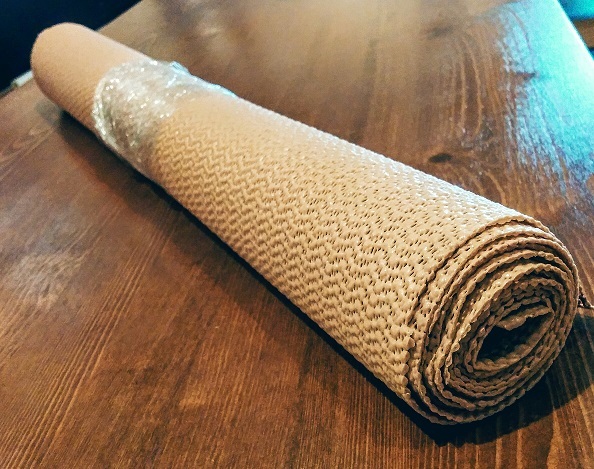 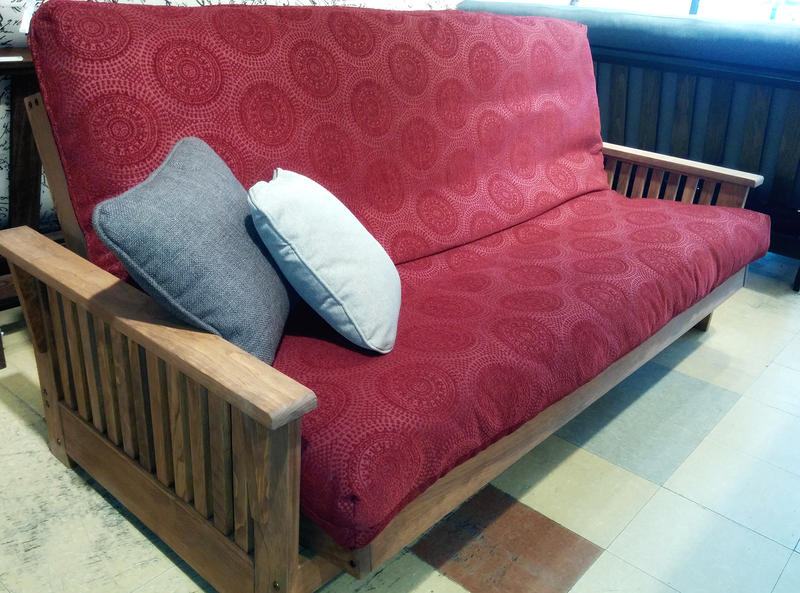 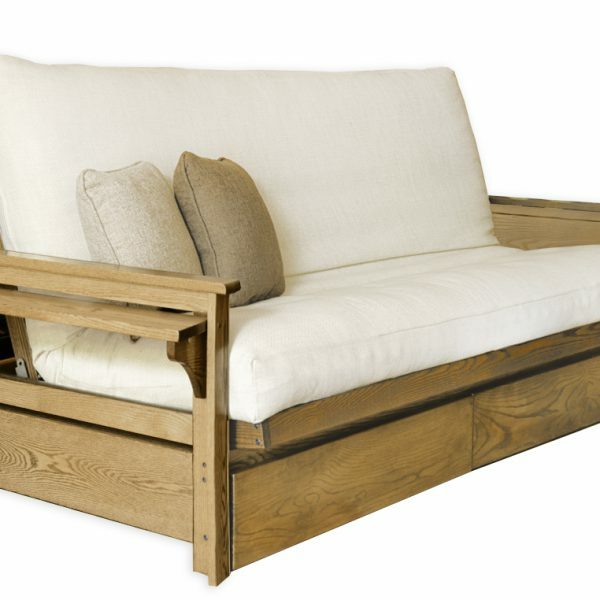 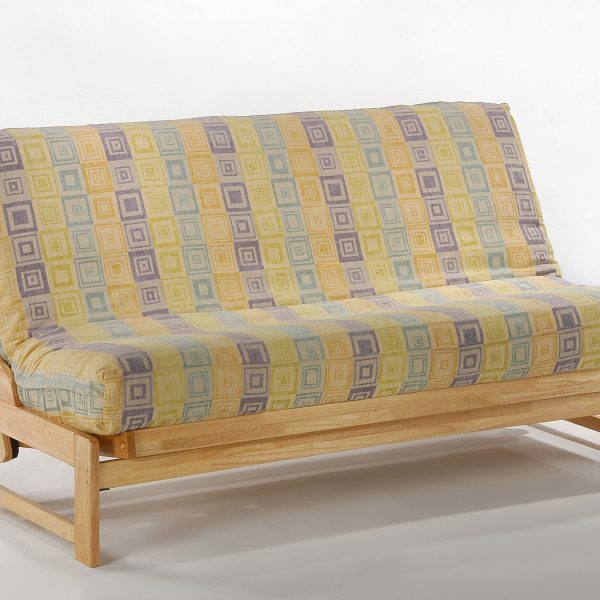 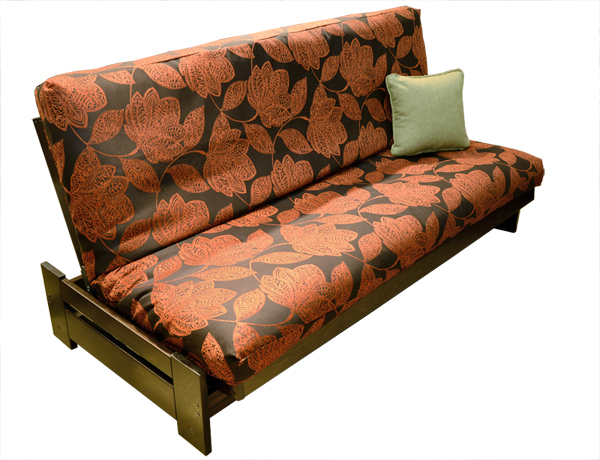 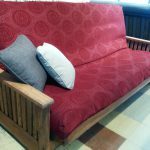 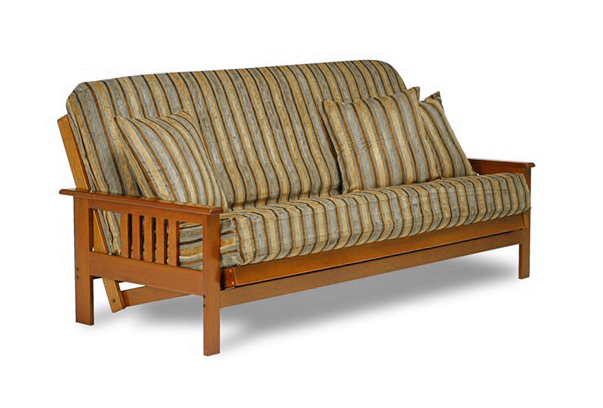 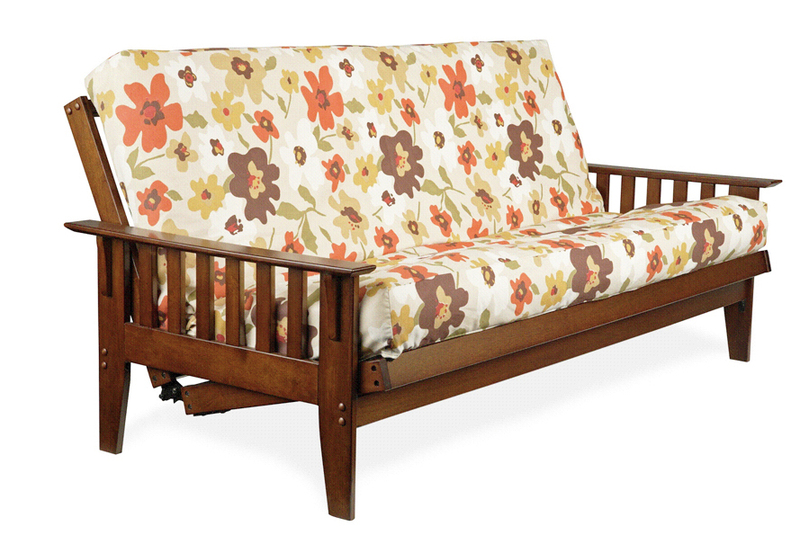 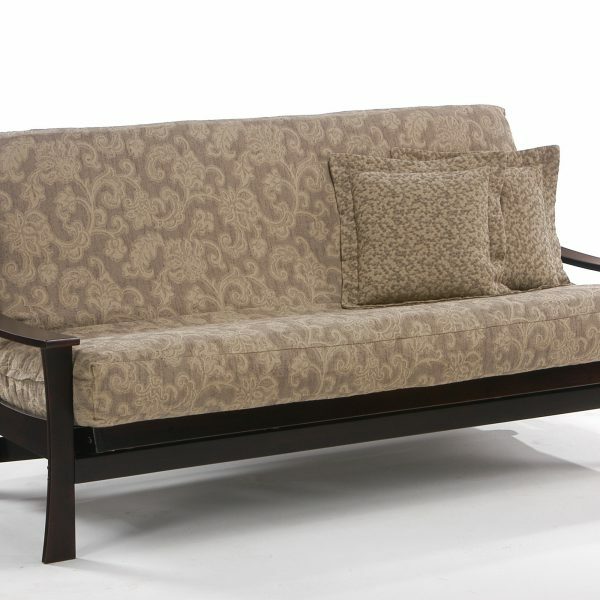 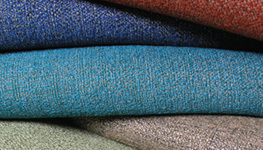 Santa Barbara hardwood futon frame availability : 1-4 weeks. 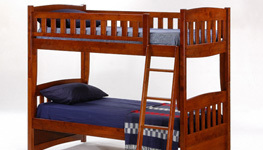 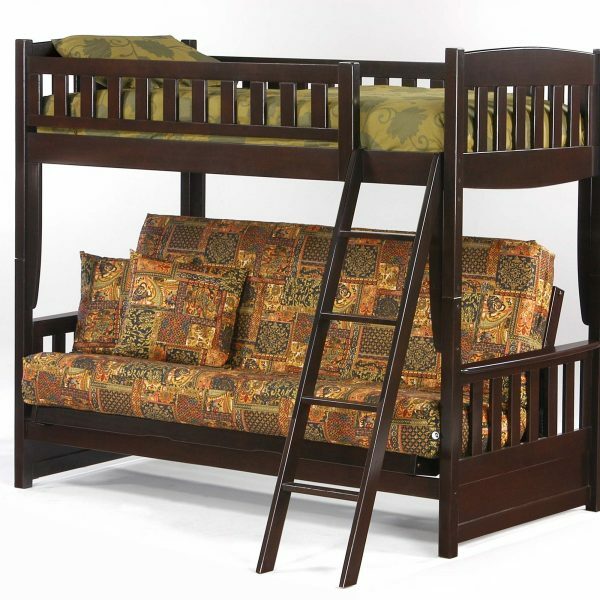 Double-size futon frame with Twin-size bed. 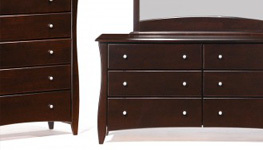 Clove Collection bedroom furniture available.